Steam the cauliflower florets for 12-15 minutes or until tender. Place the butter and garlic in your food processor or blender (I use my Vitamix). Add hot cauliflower in blender, you might have to do it in batches depending on the size of your machine. Add cheese. Blend again until well incorporated. I let the machine run for a few minutes to ensure a creamy and smooth puree. Taste, season accordingly with salt and pepper. *if you are concerned about a raw garlic taste, you can quickly saute it in some of the butter and then add it to your puree or steam it with your cauliflower. obviously, this is not one of my dairy free recipes, but feel free to substitute with dairy free alternatives. Texture and appearance may vary depending on the quality of your blender or food processor. Can’t wait to try this Michelle. 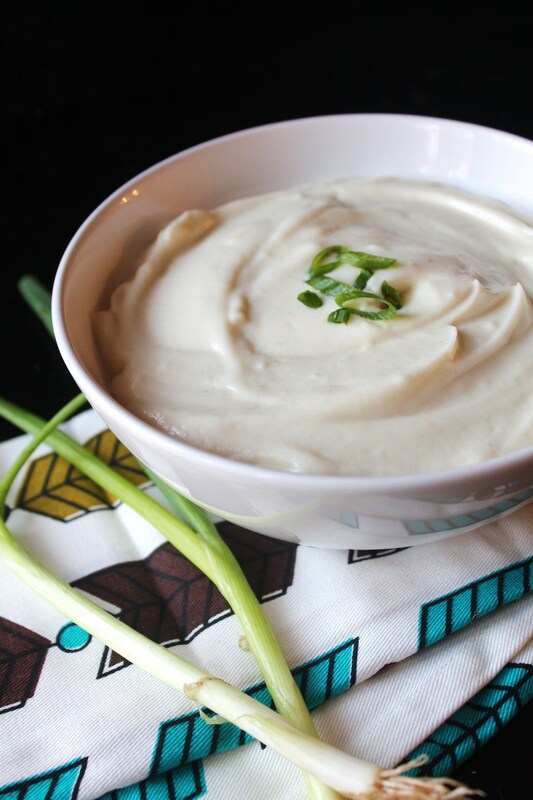 Cauliflower mash is one of my favorite sides ever. These turned out wonderfully for me!